Where FOREST meets the SEA, A gift of PEACE and RELAXATION awaits you. Casita Ysabel started as a weekend home in 2003 and was opened to the public in 2007. 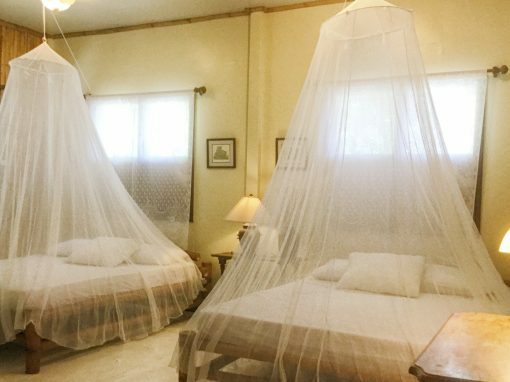 It has now become a favorite destination among local and foreign guests who are looking for privacy and comfort. A place of true relaxation, rejuvenation and a distinct rainforest ocean experience. It’s beauty and tranquility enfolds you with the warmth and charm of a paradise home. Private nooks are spread throughout for quiet moments. It’s rustic design with modern amenities provides a haven for the weary soul. Spa services are available for ultimate pampering and rejuvenation. Adventure seekers can explore nature through scuba diving, snorkeling, island hopping, bird watching and mountain trekking. 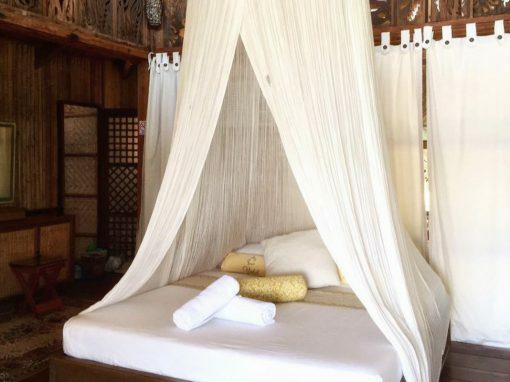 Casita Ysabel is a nurturing cocoon, a restorative and creative space for mind and body wellness – your very own sanctuary. It is calm and serene at Casita Ysabel. My secret destination for a quick getaway. Its a small paradise haven. So tranquil & peaceful, so solemn & beautiful. A perfect weekend retreat. Something that I want from time to time. The turquoise sea laces the background of the charming casitas. 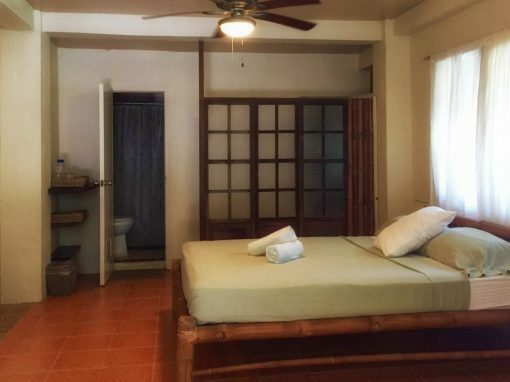 Comfortable and relaxing, private baths with hot and cold shower and air conditioning are available for all accommodations at Casita Ysabel. Allow your senses to be awakened with the various sounds of forest birds as nature invites you for a walk along the winding garden stair paths that brings you to the beautiful ocean garden reefs of Casita Ysabel. 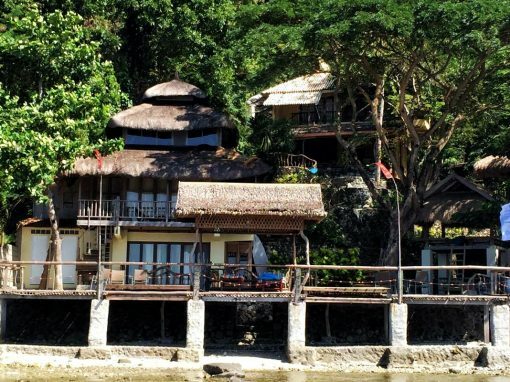 Casita Ysabel reef is located along the VERDE ISLAND PASSAGEWAY, known as the heart center of marine biodiversity. Snorkeling and scuba diving lie at your doorstep. With equipment on hand, one can stroll right from room to shore. Catch the beautiful sunset as you enjoy your creative meal at the dining terrace overlooking the Casita garden. Meal reservations are recommended. Special meal requests may be arranged upon booking. 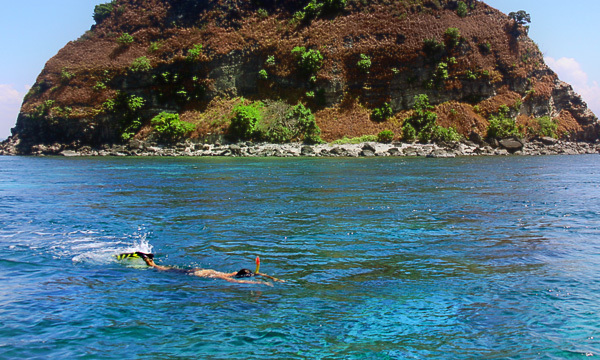 Snorkeling at the Casita Ysabel reef is home to bountiful multicolored corals and fishes. Scuba divers can explore more than 46 dive sites in Mabini and Tingloy area. 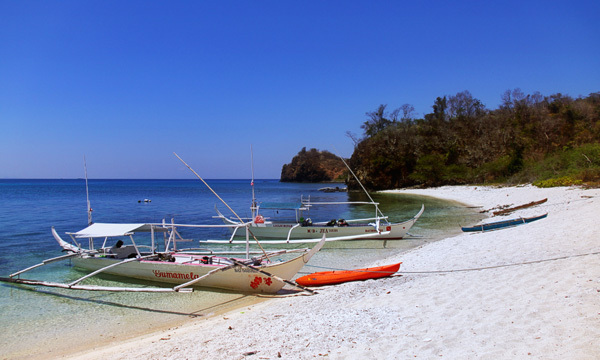 Take an outrigger boat and venture to Maricaban Island where you can find stretches of white sandy beaches. Picnic lunches may be arranged upon booking. Catch the sunrise at the peak of the two hour climb to Mt. Gulugod Baboy. 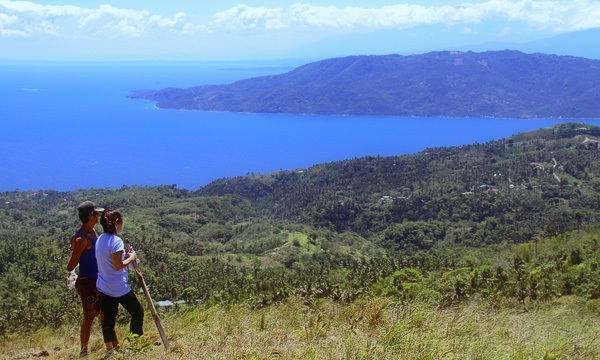 A picturesque 360 degree overlook view of Batangas. Cool winds and purely nature. Refresh your mind and cleanse your spirit, as you pamper your body with a relaxing signature massage, a detoxifying and a renewing body and foot scrub. A destination SPA where the purity and beauty of nature is the ultimate experience. 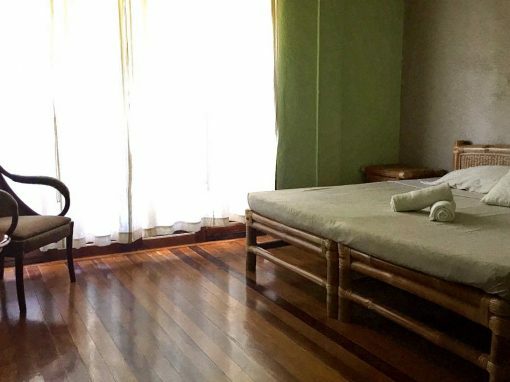 Casita Ysabel is nestled in the peaceful mountainside of Mabini, Batangas. The drive entering the resort is an experience in itself as you drive past a forest via a steep slope covered by foliage. 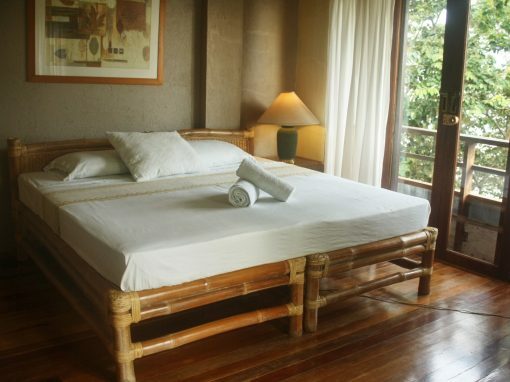 It overlooks Balayan Bay and offers a quiet and peaceful atmosphere morning till night. The view is fantastic, but there may be a bit of a hike to get to the beach and some of the rooms. This place may not be recommended for those with mobility issues. Right in front of the resort is the Casita Ysabel reef which is designated as a Marine Reserve Area. The coral reef is beautiful and teeming with marine life. Guests snorkeling and scuba diving in front of the resort are often treated to sightings of small black tip sharks, sea turtles and other amazing aquatic species. 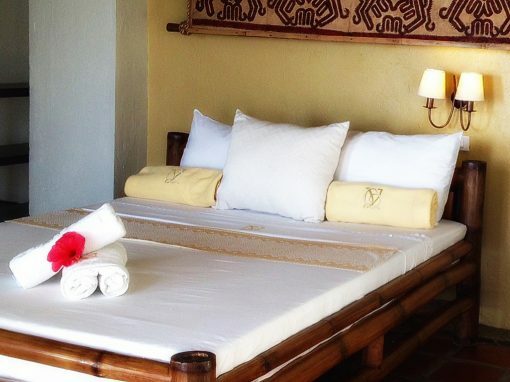 Guests come to Casita to relax and disconnect in a cozy and laid-back atmosphere. The resort never gets too crowded as there are only 10 rooms available. Each room is unique with rustic interiors and lovely views. 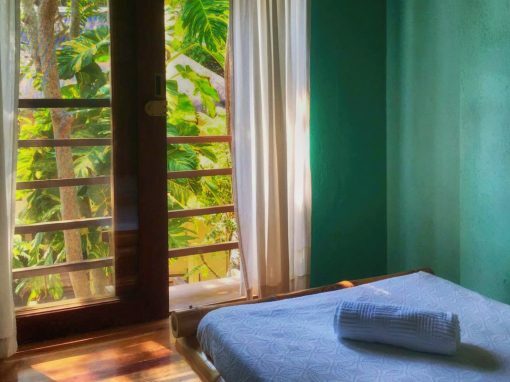 All rooms have air-conditioning and heated showers, however there are no televisions or mini bars. 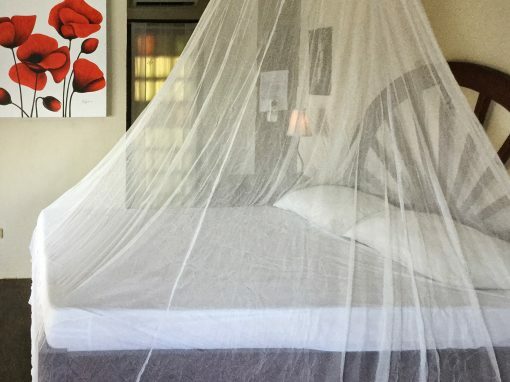 Guests are guaranteed a peaceful slumber as they are lulled by the soothing sounds of nature. Kids below 3 years old (sharing beds with parents) are free and bigger kids 4-7 years old are half price. Power outages are common in the province but we are equipped with a high-powered generator for the comfort of our guests. We are committed to conservation and encourage guests to support sustainability by conserving water & electricity and re-using towels. Meals may be enjoyed al fresco at the dining area overlooking the Casita garden. The resort serves delicious home-cooked specialties using locally sourced seasonal ingredients. All room bookings include free breakfast but we also offer full-board meals for guests. We prepare home-cooked specialties using locally sourced seasonal ingredients. You can expect three full meals: lunch & dinner on arrival day and breakfast on departure day. Guest can enjoy their meals al fresco at the dining area overlooking the Casita garden. Guests are welcome to bring light snacks (chips, chocolate, cookies, etc.) and a bottle (or two) of wine or your preferred liquor. We do not allow guests to bring in meals and cook within the premises. We charge corkage for more than 2 bottles of wine or liquor and beer/sodas brought in the resort. We discourage bringing in soda and beer as these are available for sale. For those that are always peckish, a small meal/snack menu is available for ad-hoc dining. 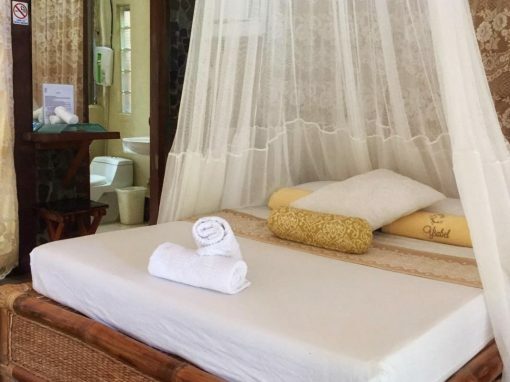 The place is ideal for snorkeling, scuba diving, kayaking, hiking, sunbathing, soaking in the mini-pools, reading a book, getting a massage, watching the sunset, playing with the resident dogs or simply being mindful of nature and enjoying the art of doing nothing. If you are seeking a luxury 5-star getaway this may not be the place for you. Guests may also experience total physical and mental relaxation by indulging in a massage, soak or scrub at the Tre Earth Spa. The spa menu hosts a number of treatments meant to free the body and mind of stress and tension. WIFI internet is available in the dining area but please be warned that provincial internet can be slow and unreliable. Globe Telecom is known to have the best mobile signal in the area. Guests are welcome to bring in their pets after screening by management. We enforce a limit on our pet guests per night in order to minimize disturbance for other guests. There is a pet fee of P500 to P900 pesos, depending on the size of your pet. Owners are expected to manage the feeding and care of their animals. Pets must be potty-trained and on-leash at all times. Owners must clean up after their pets and should never leave them unattended. 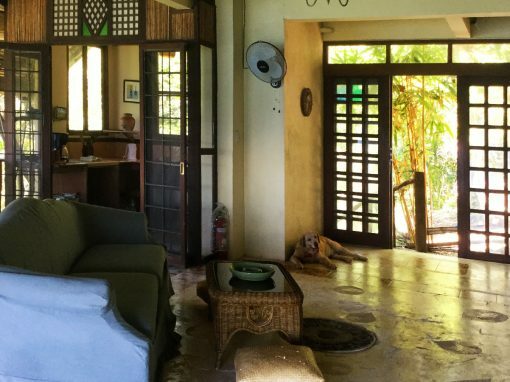 Casita Ysabel will not be liable for any damage or harm that the guest’s pet may cause. Pets must also maintain a level of control so other guests aren’t disturbed by noise. After booking on our site, a 50% deposit will be charged to your credit card through a secure online payment system. Please note that our system does not accept debit card payments. We also cannot guarantee room reservations for invalid credit card transactions. 50% balance will be charged 7 days prior to arrival date. Casita Ysabel does not accept personal checks. If you will be using an international issued credit card, please inform your card company that you will be traveling to the Philippines to prevent your card from being blocked during your stay. You may also deposit payment to BDO Account #001550247113 (Casita Ysabel Inc.). Please send us a copy of the deposit slip to casitaysabel@gmail.com to confirm your reservation. At check-in please present a valid government issued ID, confirmed booking vouchers and payment slips. We will also be requiring a P3,000.00 security deposit in cash or credit card payment (refundable upon checkout). Promotional rates may also be rebooked upon payment of price difference from published rate. For typhoons or extremely bad weather, we can move your booking to another date without penalty. 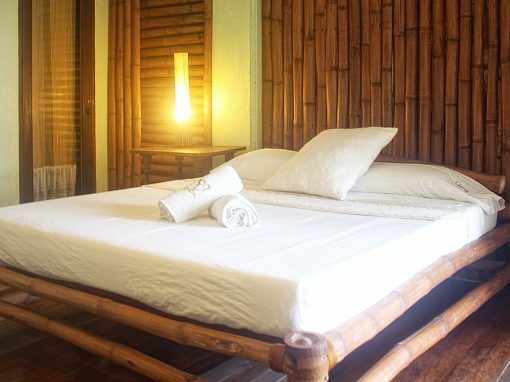 Casita Ysabel is located at San Teodoro, Mabini, Batangas. For more information, visit www.casitaysabel.com. For updates, like Casita Ysabel on Facebook, www.facebook.com/casitaysabel or follow @casitayasabel on Instagram. From Manila, take SLEX (South Luzon Expressway) and Star Tollway all the way to the end. At the roundabout take the 2nd exit (Batangas Port). Follow the road going to Batangas Port until you see the Bauan Overpass. Turn right going to San Pascual/Bauan/Mabini.Keep going straight until you reach Jollibee in Bauan Batangas Provincial Road. Follow the main road then turn left after Bauan Doctor’s Hospital. Keep going straight until you reach Mabini Town Proper. Turn right when you see the Mabini Tourism Triangle. Turn left before reaching Anilao Pier. Follow the main road until you see Casita Ysabel on your right. Travel time is about 3 hours. Ride a Batangas bound bus in Buendia/Cubao Stations and alight the bus in Batangas Grand Terminal. From there, ride a jeep going to Mabini and get off at Mabini Market. Ride a tricycle going to Casita Ysabel. Travel time is about 3 to 4 hours. Fill out the form below & our staff will be in touch!